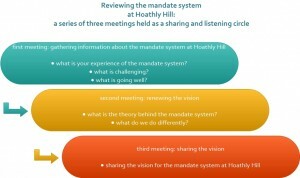 There is a mandate system in place a Hoathly Hill: a mandate holder is appointed by the ‘community’ in a meeting to take on a specific area of responsibility. They are given the mandate to take decisions on behalf of the community and are expected to consult either their reference group or the whole community in certain cases. 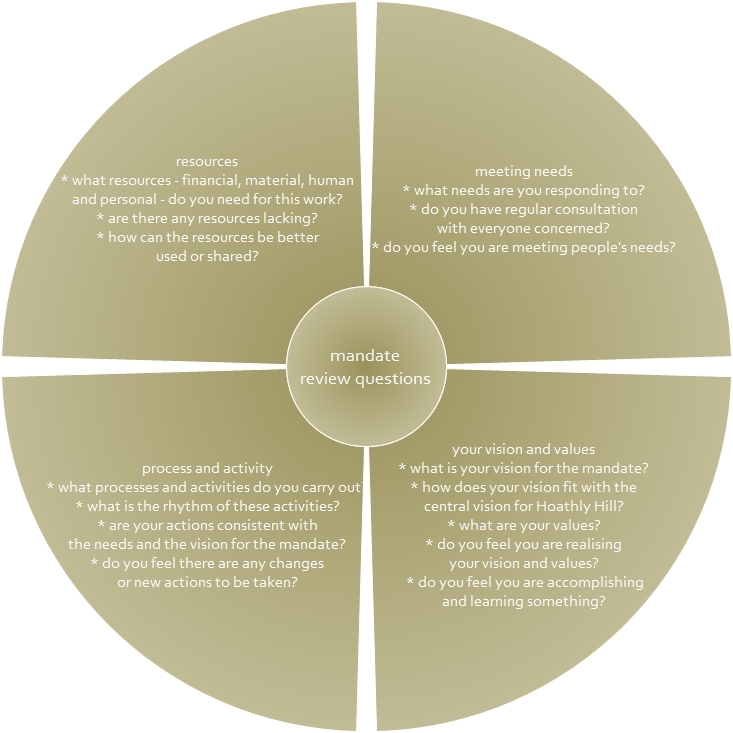 Presently the mandate system works well for small practical decisions and when there is an extensive consultation process, however mandate holders and/or their decisions can sometimes be ignored. 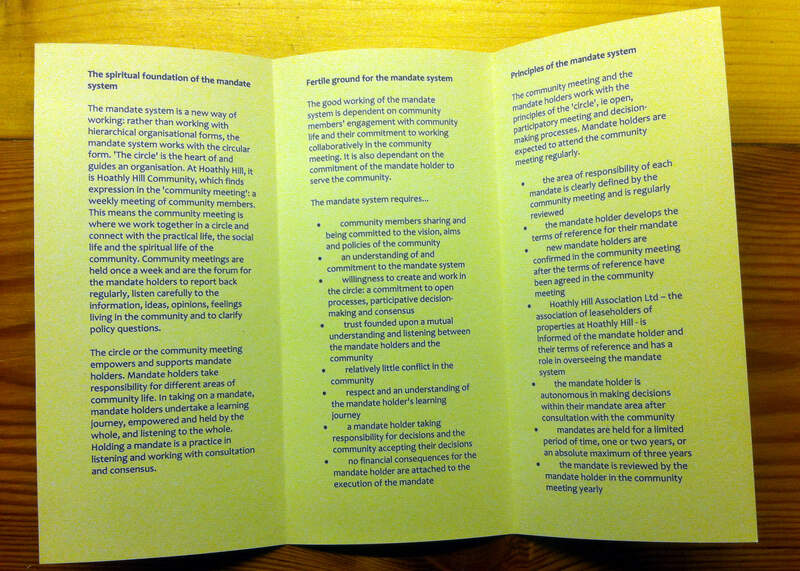 Also the key principles of the system are often not put into practice, such as presenting terms of reference, presenting yearly review, consulting the community, following up on decisions, handing over the mandate at the end of the maximum of three years of holding. 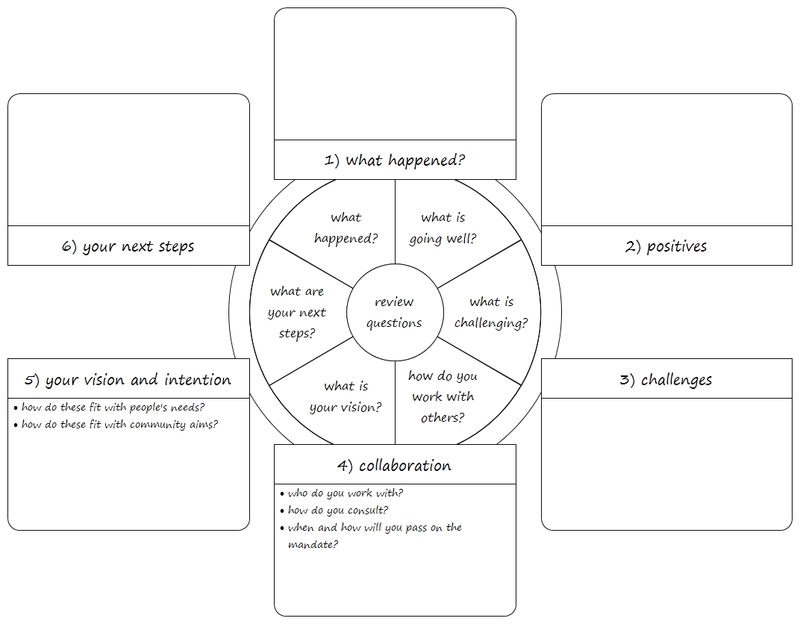 As this is a system that is already in place and valued in theory, the design would be based on action learning theory to improve practice. It will be a community process of three meetings to gather information, evaluate the current situation, renew the vision increasing understanding and thereby encouraging better practice and more engagement with the mandate system. 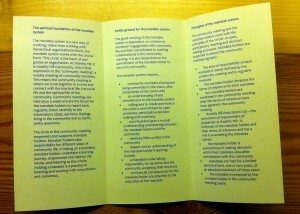 A series of three meetings were held in November and December 2013 reviewing the mandate system in the community meeting. 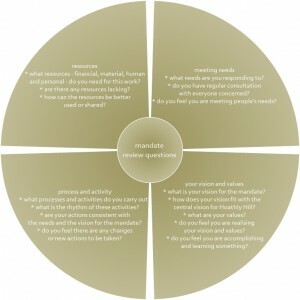 Two templates were drafted to aid mandate holders in their yearly reviews.